A marketer’s guide for real-time analytics was published on Customer Intelligence Blog. How Do You #RealTimeWithSAS? was published on Customer Intelligence Blog. SAS is revolutionizing the real-time customer experience was published on Customer Intelligence Blog. Measuring up: robotic process automation versus real-time decision making was published on Customer Intelligence Blog. Better insight into a common view of customers: 51 percent. Greater confidence in decision-making: 49 percent. Greater engagement with customers: 49 percent. Increased sales revenue: 47 percent. More repeat business from customers: 44 percent. With these advantage-building benefits you can imagine the risk to your bottom line from saying “no” to taking an analytical approach to delivering customer experience: Forrester puts it at a 14 percent missed growth opportunity. All modern consumers are transitioning from digital-first into digital-only users – and they expect you and every other business to achieve “digital parity”. In other words, your organisation needs to match or exceed the best experiences your customers have had with other organisations online or in self-serve environments. The result is that expectations of brand experiences are higher than ever in this data-driven world. Over the last decade, a plethora of technologies designed to help us better address our customers has come and gone. For consumers, the result has been fragmented and inconsistent experiences and marketers found themselves failing to deliver a stellar customer experience. An analytical approach to customer experience enables organisations to move from simply reacting to customers in the moment, to predicting those moments and the appropriate outcomes in advance, to deliver a more considered and strategic experience. Integrated analytics and decisioning is the only way to balance an understanding of a customer’s attitudes, preferences, interests and needs with customer lifetime value, propensity and risk. This approach allows you to make accurate and profitable decisions about the right content, the right offer, the right price or the right product in the moment a customer engages with you. In real-time environments, all this decision-making must be done in milliseconds – something a predetermined, rules-based approach cannot deliver. How can you capitalise on the real-time opportunity? Improving risk management and matching price to risk. Reducing or eliminating fraud and waste. Increasing revenue by making the most of every opportunity. Improving the utilisation of constrained resources across the organization. The result is a superior customer experience. By deploying a real-time decisioning framework, this leading broadcaster has experienced a significant sales uplift through online cross-sell and upsell activities. Their customer retention team has also used this approach to significantly reduce retention costs across the same number of customers. For Shop Direct, a UK-based digital retailer, the use of analytics to deliver a superior customer experience has paid off with a 43 percent increase in pre-tax profits. CEO Alex Baldock, said, "We're making the most of how well we know our customer and being increasingly tailored to each of them." 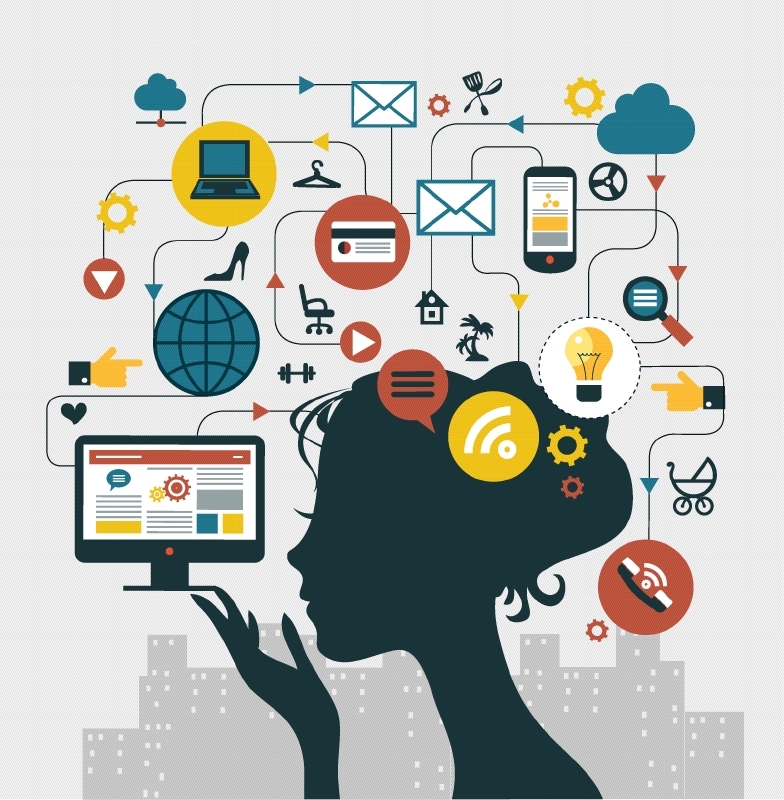 Are you ready to take a more analytical approach to customer experience? SAS helps many organisations start their journeys. Read more about our approach to real-time customer experience and how we can help you become a customer-first organisation, too. Why success in real-time customer experience is about small decisions was published on Customer Intelligence Blog. How would you feel if I said it’s possible to generate a significant increase in sales during a six-week period, using advanced analytics? This was achieved by a leading European broadcaster – and there’s no reason why you can’t transform your business success similarly. The real-time difference: Is it really worth it? I’m privileged to work with some big thinkers on the topic of real-time decisioning in customer experience, but what really helps our customers is our ability to apply advanced analytics and machine learning to real business problems to rapidly solve them. You can best see the benefits of doing this through the innovative work we have undertaken for trailblazers in the field of real-time decisioning for customer experience, including Shop Direct and many others. The European broadcaster that I mentioned earlier wanted to increase its conversion rates for cross-sell and upsell activities on its website. Product recommendations were displayed to customers based on rudimentary rules – Does the customer currently have the product or not? To advance the broadcaster's business goal, we enabled a more forensic approach to customer data using advanced analytics and real-time decisioning to determine the best possible recommendations for each customer. 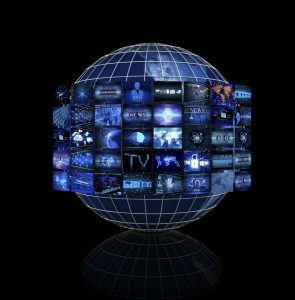 By applying advanced analytic techniques to detailed viewing behaviour and propensity scores, then tying digital and offline data together, the broadcaster was able to predict the outcome of any recommendation that was made to each customer. Moving away from a rules-based to analytical approach for decisioning means the broadcaster's sales team can now determine the most appropriate personal recommendations – decisions that can be automated in real time at the point of customer interaction on the website, using SAS Real-Time Decision Manager capabilities. After six weeks, the customer generated an impressive increase in online sales. Next, we considered customer churn by determining the optimum "value of goodwill" – i.e. how much call centre agents should offer in order to keep a customer. The initial result? The organisation retained the same number of customers for significantly less money. This result took only four weeks because we’d already deployed the system for customer conversion. The power of real-time decision-making is even more evident when you see how it can automate traditionally lengthy manual customer processes. SAS Real-Time Decision Manager has been deployed in the insurance industry to automate decisions in claims, pricing and underwriting. One global insurer was able to cut costs in the tens of millions per annum, reducing what was typically a month-long process down to real time by automating its motor claims process. This same approach has also helped to transform the success of an established retailer, Shop Direct. As a 40-year-old business that started out as a catalogue company, the retailer was sitting on a huge amount of customer data. They wanted to exploit this data to deliver very personalised online experiences for every customer in order to make shopping with them easier. The ultimate ambition? To drive significant uplift in profits. We started with their website, which often presented customers with about 50 pages of products to scroll through. By analysing its existing data, Shop Direct can now predict the products a customer is most likely to be interested in and create an individually personalised sort order in real time. Harnessing data and advanced analytics to deliver unparalleled levels of personalistion has seen Shop Direct’s profits surge by 43 percent. What makes all these successes with advanced analytics so different is that SAS allows organisations to predict likely outcomes, and change decisions about the most profitable, accurate or relevant experience in real-time. It’s this capability that will enable you to deliver exceptional levels of personalisation in real time to become truly customer first. Find out how we can help you to become a customer-first enterprise. Read our free white paper: Customer Intelligence for the always-on economy. Transforming your business success with a customer-first strategy was published on Customer Intelligence Blog. You want to be a customer-first organisation, but are the benefits worth it? Forrester reports that customer experience leaders enjoy 17 percent CAGR (compound annual growth rate) as opposed to laggards at 3 percent. Functional silos: Beneath the glossy front-end of the customer experience machine sit functional and data silos created because many companies organise themselves around products or channels, not the customer. Legacy systems: Systems of record and channel-specific technologies, often with their own rules and logic, and little ability to talk to each other, fragment customer journeys. Cultural change: The various departments that contribute to creating a customer-first organisation have different objectives and key performance indicators. This undermines the collaboration and cultural change necessary to put the customer at the core. Unfortunately, customers don’t care that your organisation is built on complex legacy structures in the back-end. When they interact with you they expect accurate and timely responses and decisions, regardless of the channel through which they engage. What time is real time? These days, organisations need to be able to respond to changing customer expectations and provide a seamless joined-up customer experience at every point of interaction, often in real time. The issue is that "real time" means different things to different organisations. Many believe that a good real-time customer experience constitutes the ability to react immediately to what the customer is doing right now in a specific channel. Displaying a banner ad based on where a customer clicks on your website, or triggering an encouraging email when someone abandons their cart are nice tactics, but fall short of delivering a customer-first experience. Excellent real-time customer experiences can only be delivered when you truly understand your customers: and their wants and needs; their price sensitivity and preferences; their propensity to buy; their lifetime value; and their service expectations. Being a true customer-first organisation requires the capability to collect and analyse the data that customers make available to you, then use it (responsibly) to deliver value back to them. Today, these sources are expanding to include structured and unstructured data from social and multimedia feeds, streaming data from beacons and devices, voice calls, transactions and browsing histories. Once you’ve analysed the data to uncover valuable insights about your customers, you need a decisioning framework that allows analytical insights to be applied to both historical and real-time contextual data. It must encompass your organisational goals, all the potential offers and actions that a customer could be presented with, eligibility, budgetary and other constraints in order to infuse deep customer understanding into the decision-making process for each individual customer. Only then will you be empowered to make highly accurate decisions across your business about the right next action, next offer, next content or next recommendation and deliver that real time. Not having these capabilities could signal the loss of competitive ground. 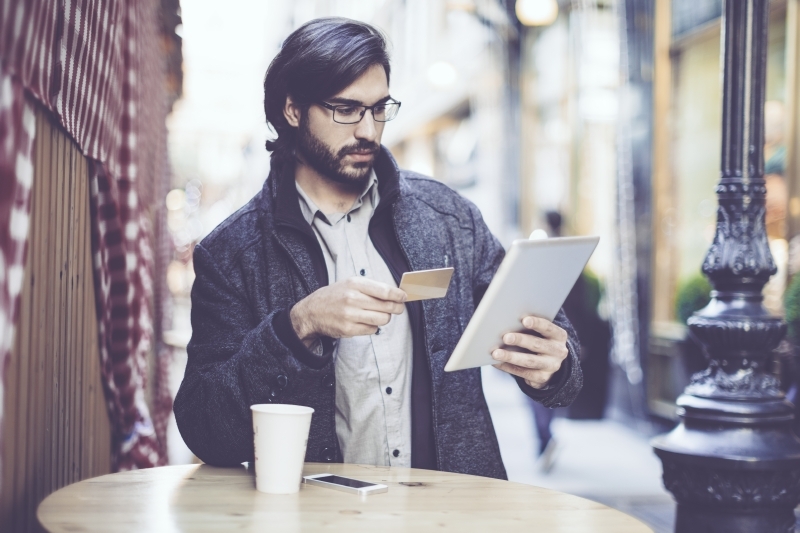 Leading retailers, financial services, telco and media organisations have seen significant improvements in customer experience, profitability and reduced costs by using a customer decision hub. Choose a use case; a business challenge you would like to overcome. Once you have achieved your intended goals, replicate the model across other use cases or business problems. This is best illustrated with some of the work we have implemented with a leading European broadcaster and for a well-known insurer. The broadcaster wanted to use analytical-driven decisions to increase conversion rates. Within weeks its customer decision hub was up and running and over a 6-week period the organisation saw a significant increase in the uptake of online upsell recommendations. A global insurer used a customer decision hub approach to automate complex claims decisions that were being handled in the call centre. They were able to cut average settlement decisions from 28 days to making decision in real time, and saw a 26 percent improvement in decision-making accuracy while also providing a superior real-time experience for customers. We can help you brainstorm your first project and get started with less risk. Find out how we can help you to become a customer-first enterprise - read Customer intelligence for the always-on economy. So you want to be a customer-first organisation? was published on Customer Intelligence Blog. For many industries, products and features are no longer the most crucial differentiators in the minds of customers. Take mobile telecommunications, for example. The recent market shift from virtually no unlimited data plans to announcements of unlimited data offerings by every major US wireless carrier in a short span of time left many consumers wondering which plan had the best options for their lifestyle and budget. As I read comments on a variety of blogs, it was apparent that consumers were confused, too. But by and large, they stated they were making choices based on how well (or how poorly) their current providers treated them, not necessarily the ideal plan. And that’s why customer experience is the real differentiator today. For a sustained competitive advantage, you will want to improve customer experiences however and whenever you can. Take for example some recent work I did with a global telecommunications company. This company wanted to explore the benefits of making more appropriate offers in real time for their customers. The definition of appropriate here being analytically driven with the use of real-time data. Targeted customers were those who reaching their monthly data cap before the end of their billing cycle. The decision point was the offer to top-up a customer’s data allowance. Whether to make the offer or not. The company anticipated a low response rate. Sending an offer via email or SMS might be considered spam by the customer. The size of the offer to be made (i.e., how many gigs of data). The cost of the top-up when compared to the projected overage charges the customer would incur. In real time, trigger the same offer to all customers that reach certain percentage of their data allowance. This method was of limited value because customer data was not readily available to the system that executed this trigger. This led to option 2. Overnight, analyse the customer data to make offers to those more likely to respond, and ensure that the size and cost of the data top-ups were appropriate (e.g. smaller offers to customers closer to their monthly refresh of data allowance). The result was an approximate 400 percent increase in response rate when compared to the company’s existing methods. We showed the company how much better the response would be, if they combined the two approaches to make a customer-driven decision in real time. Create models based on using the real-time data. Use SAS® Event Stream Processing to identify when customers were running out of data, and trigger an action. Use SAS® Real-Time Decision Manager to run the models in real time and use the output of the models to decide on the most appropriate offer for the customer. The result was an approximate 400 percent increase in response rate when compared to the company’s existing methods. This improves customer satisfaction (more timely and appropriate offers, and not running out of data at an inconvenient time) reduced cost (fewer messages are sent) and increased profit (greater offer acceptance and improved margins). This demonstrates that there can be huge value in real-time information in the analytics life cycle by creating or improving models and using those decision models to improve the customer experience. The challenge that companies face is determining which decisions will be most affected by real-time data, and what type of real-time data will be most predictive. But it is not always the case that you need to test (or invest significant resources) to identify these two items because there may be natural tests in the data already. Say a customer applies for financial services product such as an overdraft, a loan or a credit-limit increase. The customer application is the target variable, and you can use the data (transactions, balances, headroom, future payments, time to salary payment, etc.) as observation variables – taking care to ensure that you capture the timing of these, too – and then identify which of these is predictive of approval or denial. Some of this data will be easier to get in real time than others and this analysis can focus the effort onto the ones that are accurate and effective in real time. Editor's note: This is the first in a series of posts that offer real-world examples of how to best use analytics to meet your marketing needs. The series will cover several industries including telecommunications, banking and retail. Real-time decisioning offers unmatched customer experiences was published on Customer Intelligence Blog. As our environment has evolved, so have our techniques for understanding, measuring and motivating people and groups. The modern consumer is transitioning from digital-first to digital-only and they expect every business in every industry to achieve “digital parity.” In other words, your business needs to be as easy to do business with as the best of what your customer has encountered online and in self-service solutions. And it’s not just in the digitally native millennial generation where this transition is occurring. These changes are being realised across the generations because customers who aren’t millennials have been influenced by a millennial outlook. As a result of these changes, our expectation of brand responsibility has evolved as has our interaction with brands in a data-driven world. Over the last decade we’ve seen a plethora of marketing technologies thrust upon us to harness this new world view and at the same time, influence it. From SMS, web analytics, mobile apps, web personalisation, recommendation engines, conversion optimisation platforms . . .the list goes on. The upshot of the investment in these myriad technologies is that it has created many disconnected silos across the organisation, each with their own set of rules and logic, focused on an individual channel and that frequently don’t speak well together. Unfortunately for consumers, the end result is a fragmented and inconsistent experience and marketers find themselves still failing to deliver a stellar customer experience. Customer experience has been at the core of conversations about engagement for the last few years. The goal? To interact with customers with the most relevant communications at the right time via the right channel. There needs to be understanding of a customer’s attitudes preferences, interests and needs. These must be balanced with an understanding of customer lifetime value, propensity and risk to make accurate and profitable decisions about the right content, the right offer, the right price or the right product. If this can be achieved at the moment of customer engagement, then those brands won’t be the ones that get left behind. When we are managing outbound communications to consumers, planning email or direct marketing campaigns, we have time to consider all of the inputs from both a customer insight perspective and an internal business perspective before we decide on the most relevant content. But when a customer proactively engages with us, over the web, via an app, with a call centre agent or in person, we have just milliseconds at worst and seconds at best to make the most accurate and profitable decision. This becomes a major challenge. 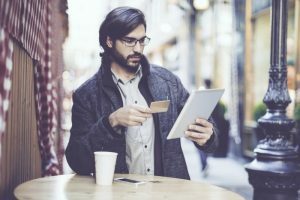 According to our recent research and speaking to key decision-makers in consumer organisations, one in five believe the ability to interact with customers and adjust those interactions in real-time (based on the most up to date insight and context), would see revenues jump by as much as 20-40 percent. The majority of decision-makers expect revenues to increase by at least 10 percent. Improving the management of risk and the matching of price to risk. Improving the utilisation of constrained resources across the organisation, all whilst delivering a superior customer experience. Organisations need to adapt from making decisions at the speed of the organisation to making decision at the speed of the customer. For instance, if a customer chooses not to engage with an offer online, based on all the information known about that individual including their lifetime value, propensity and attitudes, as well as new contextual information (e.g., their location, the device they’re using, etc. ), they can be served a more suitable alternative within seconds. To remain relevant in increasingly competitive and disruptive markets and to meet the expectations of the modern consumer, organisations need to put a framework in place to enable them to make better "small decisions" at those moment of customer interaction, which are the true "crunch" moments for individual customers. Permanent TSB is one organisation that has started to implement such a framework. Underpinned by in depth and advanced customer analytics, the organisation has moved from engaging with customers via outbound only calling campaign structure to developing an omni-channel engagement framework. Through customer analytics, the organisation has been able to prioritise activities and deliver services, offers and updates highly tailored for individual customers. Businesses like Allied Irish Bank have made analytics a key strategic pillar, with buy-in from the C-level down through the organisation. Customer analytics is being used to drive informed and accurate decision-making right across the business. Consumers don’t think in channels. They just want to do business with you in a way that is easy, consistent and relevant, regardless of how and when they interact with you. This means they expect you to know them as a customer, to understand their previous engagements and transactions with you and to use the data they make available to you. Only then can you deliver a personalised and relevant experience, every time. Broad brush segmentation approaches to customer interactions based on rules and demographics will no longer cut it. Instead we need to get to a segment of one. Making analytical decisions, based on an in-depth understanding of each individual customer and making those decisions at the speed of the customer rather than at the speed of the organisation, is the key to delivering the superior customer experiences now being demanded by all consumers. Find out more about how data analytics can deliver personalised decisions to customers in real-time. The age of now: focusing on the segment of one was published on Customer Intelligence Blog.